You can’t choose when Sudden Cardiac Arrest will strike. But You Can Be Prepared. Sudden Cardiac Arrest can happen to anyone, anywhere, at any time. When it happens, a HeartSine Automated External Defibrillator (AED) can make the difference between life and death. 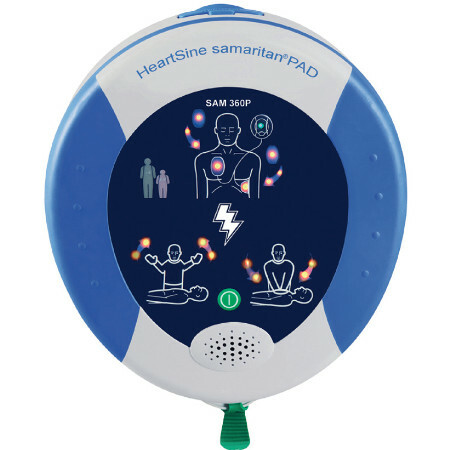 An AED can be used by untrained bystanders to increase the survival rate for SCA up to 75% by delivering a life-saving shock within the first few minutes of an attack. 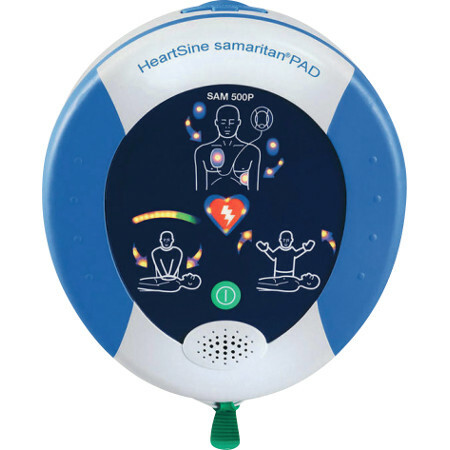 Provides all the advantages of the 300P with the addition of an innovative CPR advisor. Easy-to-follow visual and voice prompts. Guides a user through the entire process. Built-in confidence, uses an Impedance Cardiogram to assess the effectiveness of the CPR. Utilizes proprietary electrode technology, advanced and stable firmware, and proprietary SCOPE™ Biphasic Technology (an escalating and low-energy waveform that automatically adjusts for the patient impedance differences) to access rhythm and recommend defibrillation if necessary. Low cost of ownership. Cartridge has a shelf life of 4 years from the date of manufacture. 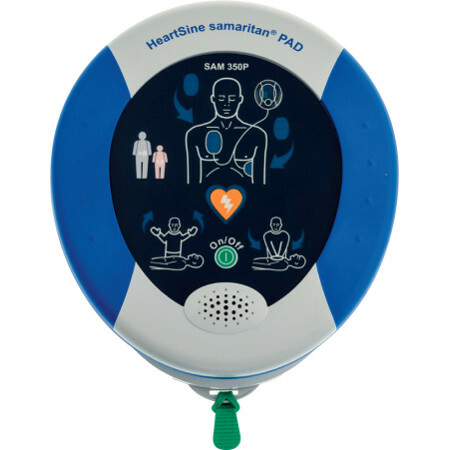 Designed for use in public areas by providing a sophisticated defibrillator for a adult or pediatric use, inside a lightweight and easy-to-operate system. Durable, resists shock and vibration and carries an IP56 rating against dust and moisture ingress. Also carries a 10 year unit warranty.